We are excited to be back with The 10 is our new weekly series were we ask 10 in-depth questions that reveal the inspirations and dreams of the leaders, visionaries, and innovators affecting our world and our health. This week we go in-depth with Orleatha Smith owner of Level Health and Nutrition. Orleatha was featured in this months issue of First for Women magazine talking about her disappointing experience with gastric bypass surgery and the whole food lifestyle with healthy oils that finally worked for her. Check it out, it's an inspiring story. 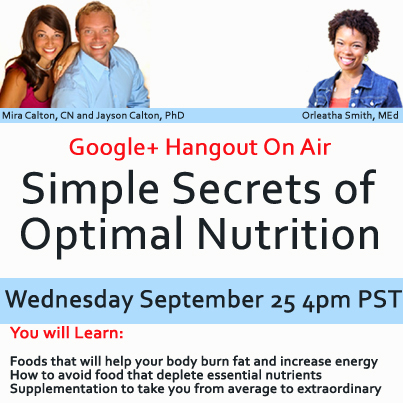 We will be doing a Google Hangout with Orleatha on September 25th – the save the date info is below. Don't miss it! My journey started with being told that I was going to have a stroke – at the ripe old age of 31. I was morbidly obese (5’2 and 258lbs). I had tried everything from Weight Watchers to Body For Life to The Cabbage Soup Diet. Finally I was told that my only viable option was to have gastric bypass. So I did. And I lost weight. Then it found me again. The scale started moving in the wrong direction. I was terrified so I started dieting (again) but nothing worked (again). A friend introduced me to the Paleo lifestyle and within a month, I had lost the weight that I had gained, started to resolve my eczema and my tendonitis was gone! I’ve been following a traditional diet for over 3 years. 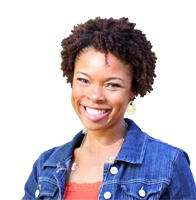 I combined my past professions – a biology teacher and a Covey trained success coach and I started my company – Level Health and Nutrition with the intention of helping people with living holistically. During the past year, I discovered that this is truly a journey. And, as with any journey, there will be detours, road blocks and bumps. Its certainly not always going to be smooth sailing! I have learned that there is a lesson in every situation and that lesson is to be shared with others. I now know that there really is no one-size-fits-all way of eating. Everyone is different so their nutritional needs are different as well. It is like a puzzle and what might work for one person, might not work for someone else. Watching people discover passion for their own journey. People get really excited when they find their missing piece. I love to see that relief/joy when they finally find something that works for them and they start to feel better. It is like it validates my own journey to be able to help others along theirs. As soon as they find something that works, it motivates them to stay the course and look for other clues to help them move along. Watching people consciously make choices that affect their wellbeing. I started out with four clients. It broke my heart to watch one of them slip back into their old habits by removing all accountability. They chose to give the power of choice to a doughnut, then to their coworkers, then to their kids – anything and anyone other than themselves. I know that the power of choice can be scary but it really saddens me when people so easily give it away! I’ve recently discovered Korean sweet potato noodles – love them! Jap-che has given my family spaghetti back without all the gut irritants that come with traditional wheat noodles. My kids and husband absolutely love them – and so do I! I would be a motivational speaker because I would love to influence groups of people to make positive changes in their lives. My own life story has been one of many ups and downs and I feel that sharing some of my journey could help motivate people to make positive changes of their own. The perk would be that I would get to travel – and I love traveling! Can’t. This word is my least favorite because it is a huge lie! We can do anything that we set our minds to do. When people tell me that they can’t do something, I ask them the 5 why’s – I ask them ‘why’ five times. Usually by the time we get to the third ‘why’ they have come to the conclusion that they actually can do it but have chosen not to for whatever reason or another. Seth Godin – marketer, entrepreneur and motivational speaker. His view of not only marketing and business but of the education system and the future of our nation resonates deeply with me. He has a great TED talk on education that I have pointed many of my teacher friends to. I would love to spend an entire week picking his brain about everything from writing books to educating our youth. My hope for the future of food and/or health is that people in inner cities not only gain access to organic vegetables and meats but are educated in making the right food choices so that they achieve optimal health. I find it very disturbing that in every major city, there are areas where people don’t have even have access to fresh produce. There is a fast food chain on every corner but not one community garden. My hope is that this would change since these areas have the highest rates of hypertension, obesity and diabetes.